News Center — Find the latest news on people, events, and discoveries at Northwestern University Feinberg School of Medicine. A team of scientists has identified new genetic regions associated with asthma in people of African ancestry, according to a study published in Nature Communications. Yvette Wong, PhD, a postdoctoral fellow in the laboratory of Dimitri Krainc, MD, PhD, has received The Warren Alpert Distinguished Scholars Fellowship Award, in support of her exceptional research in the basic neurosciences. A recent study has shed light on how different strains of bacteria compete to cause pneumonia, findings that could inform how to best prevent infection. “First, we have known for a long time that [poverty] is a powerful determinant of health, but the underlying mechanisms through which our bodies ‘remember’ the experiences of poverty are not known,” said study author Thomas McDade. He directs the Laboratory for Human Biology Research at Northwestern University in Evanston, Ill. The findings also show that life experiences can shape genetic structure and function. “There is no nature vs. nurture,” McDade said in a Northwestern news release. Listen to the people behind the science. Our Breakthroughs Podcast series highlights the powerful collaborations and extraordinary discoveries happening at Feinberg. See how Feinberg students have been recognized for their extraordinary achievements in the clinic, laboratory and community. For more information, visit our Student Awards page. 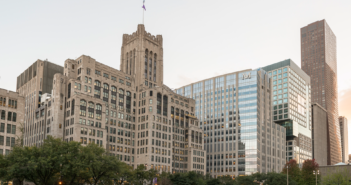 Through the News Center, Northwestern University Feinberg School of Medicine highlights our many educational programs, innovative research and discoveries, and our outstanding students, faculty, and staff. The News Center also captures mentions of Feinberg people and work in external media outlets. Learn more about us.